“As the premier Scandinavian dining destination in New York since 1987,” says Marcus Jernmark, “we wanted to participate in Made in America because it is a positive reflection of America’s culinary legacy and future.” Only 3 years old when Aquavit opened in a beautiful townhouse on West 54th Street, Jernmark has accomplished many things in his 28 years. I know the old location of Aquavit well – it was on the same block as my father-in-law’s apartment, across from the sculpture garden of MOMA. The restaurant has since moved to it’s new shiny location at 65 East 55th street – with the more modern look and feel. The Scandinavian design is light and airy with beautiful high ceilings, walls lined with jars of Aquavit and lots of light streaming in from every which way, both in the more casual Bistro and the elegant main dining room. This is the perfect pairing of this Swedish chef, Jernmark and his forward thinking cusine, with the classic world class Scandinavian restaurant in New York where he cooks both modern and traditional dishes exceptionally well. “Sweden has a 500 year old culinary tradition based on fresh ingredients served at the peak of their short seasons, combined with pickled, cured, and preserved foods that sustain us from harvest to harvest,” says Jernmark. He has embraced the variety and abundance of produce in the United States which may have only been available back home in Europe for a limited season. 1. To express the purity, freshness, simplicity and ethics we wish to associate with our region. 2. To reflect the changing of the seasons in the meals we make. 3. To base our cooking on ingredients and produce whose characteristics are particularly excellent in our climates, landscapes and waters. 4. To combine the demand for good taste with modern knowledge of health and well-being. 5. To promote Nordic products and the variety of Nordic producers – and to spread the word about their underlying cultures. 6. To promote animal welfare and a sound production process in our seas, on our farmland and in the wild. 7. To develop potentially new applications of traditional Nordic food products. 8. To combine the best in Nordic cookery and culinary traditions with impulses from abroad. 9. To combine local self-sufficiency with regional sharing of high-quality products. 10. To join forces with consumer representatives, other cooking craftsmen, agriculture, the fishing, food , retail and wholesale industries, researchers, teachers, politicians and authorities on this project for the benefit and advantage of everyone in the Nordic countries. 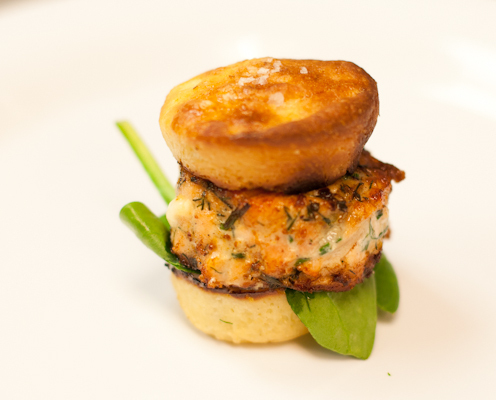 Jernmark has used all of the above and merged it with American classic comfort food – to come up with a salmon burger for Made in America. Pretty little pink patties infused with dill and a hard cheese are topped with curry remoulade and crispy anchovies on a brioche bun. When I met with Jernmark in his kitchen at Aquavit he made up some of the burgers – which were delicious – lots of salmon, dill and a little greens on a mini brioche bun. A perfect blend of the Swedish Chef in New York City is his take the American hamburger using a more classical Swedish flavor profile. This Swedish Chef has very little in common with the character who starred in the Muppets. Jernmark was the youngest chef I met on my travels around America for Made in America. So young in fact that he probably wasn’t even born when the muppets were on the television and he didn’t grow up watching the Swedish Chef, although he was familiar with the character. I had to revisit this blast from the past – and what better dish for him to be cooking up than a fish that talks back? 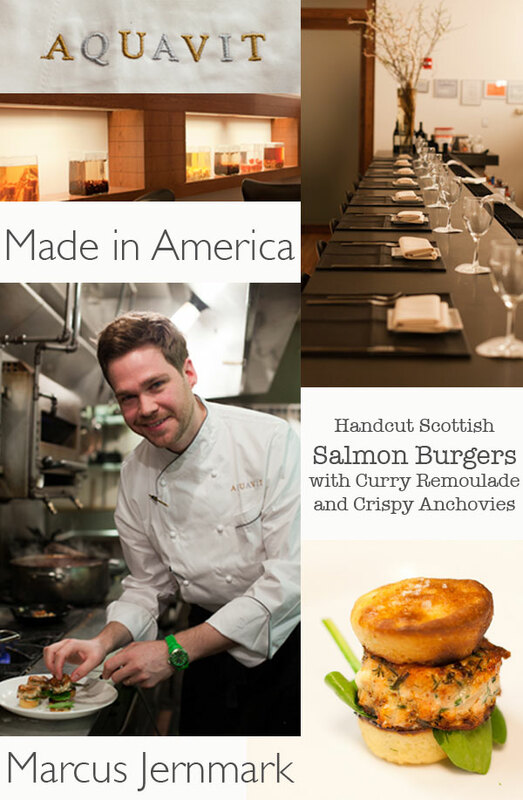 100 Days, 100 Chefs – counting down to the publication of Made in America (which is available for pre-order) on the Made in America Facebook page one day at a time. 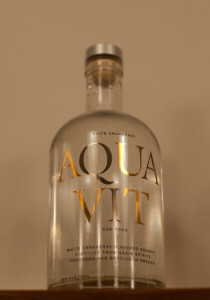 When I lived in NY I had never gone to Aquavit – now I want to even more. I know I would love Nordic cuisine considering I am addicted to salmon & seafood from that region. Great post! 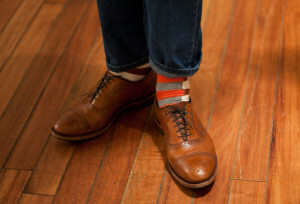 Love the Happy Socks and the mention of the Muppets. 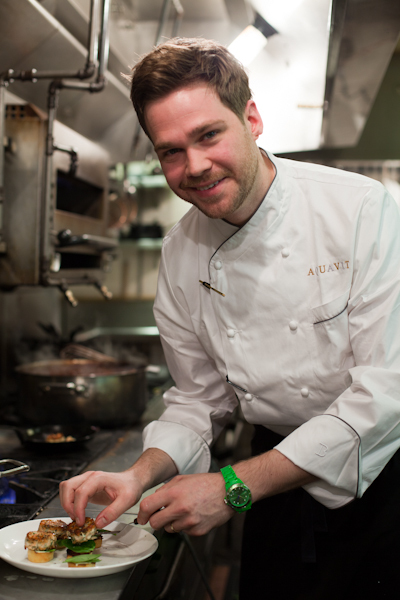 I’ve always wanted to go to Aquavit too… love all of these features.